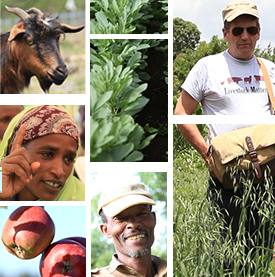 In July 2014, research teams visited Lemo and Sinana project woredas (districts) in the Ethiopian Highlands. The visits aimed to update local partners on planting activities in the main rain season as well as on pre- and post-harvest crop management issues. This photo trip report provides a visual overview of the issues encountered and activities undertaken by the project in those areas. Tags: africa rising, Lemo, Sinana. Bookmark the permalink.